Thank you for visiting my website! I hope you find it useful. I have been a real estate agent for 10 years and have enjoyed working with buyers and sellers, helping to make the purchase or sale of a home as stressfree as possible. 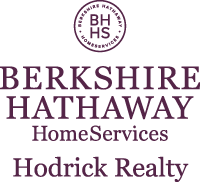 I have lived in the Williamsport area my entire life and look forward to meeting you and helping you through your journey, whether it be buying your dream home or selling your current home. I will be there with you every step of the way. Your very own private retreat complete with inground pool, 3 decks with breathtaking views, 5 fireplaces, home theater, game room, exercise room with hot tub, sauna and a 1,030 square foot master suite! Master suite consists of sitting room with fireplace, master bedroom with vaulted ceilings and fireplace, 2 walk in closets, master bath and dressing room. Lower level has two walk-out accesses to pool area and gazebo, guest suite with large bedroom with fireplace, guest bath with sauna, game room and home theater. This home is on 2.72 private acres overlooking the Loyalsock valley is truly one of a kind. Call Bair for your private showing at 570-974-7009.